AIG Homeowners | Special Feature | Non-standard Homeowners | Webinars | Parting Shot | TRIVIA! Comprehensive professional liability coverage for architects, engineers, and surveyors with the expertise to understand a firm's needs and the decision-making authority to get the job done. Icicles are an iconic symbol of winter. Reproduced in crystal, plastic, and lights as decorations on trees and houses. They are both beautiful and dangerous at the same time. Falling icicles have been used to take out the bad guy in books and film. Ralphie blamed an icicle falling from the roof for breaking his glasses in A Christmas Story when we all know he almost shot his eye out. In reality icicles hanging from a gutter may be a sign of a much bigger problem especially during times of the daily temperature being around freezing. Inadequate insulation and poor airflow can cause escaping heat to collect in the attic which can melt the underlying snow closest to the top of the roof. 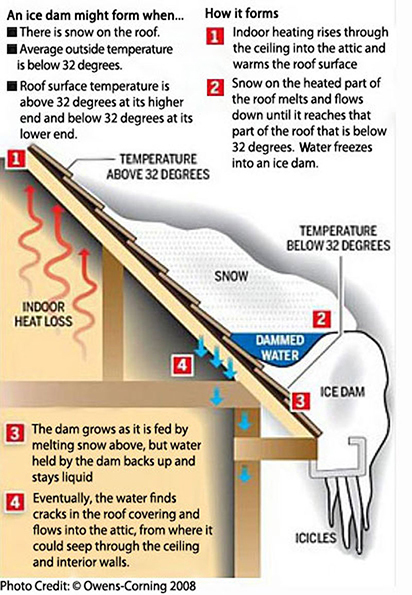 The water runs down until it reaches the unprotected eaves and gutters where it refreezes before it can go down the spout. When enough ice accumulates it can actually prevent subsequent water from reaching the cooler section and refreezing. This water can then back up under shingles and start working its way into the house. You can click the diagram for a larger version. This can be mostly prevented with proper insulation and improved airflow. AIG offers this brochure to share with your homeowner clients to inform them of the danger and how to avoid it. AIG's Private Client Program and is available to registered members in all states. Skate on over to Big "I" Markets and click on Affluent Program - New Business to learn more! I'll turn over a new leaf! I get national membership, too! What a great realization. But was it possible that I left some member benefits on the table? I shipped packages all year, but I paid full price! With my UPS discount, that expense can be sliced. Next year, I'll wise up, and get a quote from Christine! That's about as efficient as taking a sleigh. And by 2018 I'll have improved my bottom line. With my next addition, I'll use personality testing for sure! 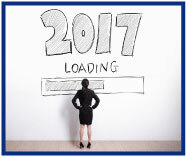 This year I'll try Insurbanc, a bank designed for me! What else can I do to make money and grow? Is there more I can access? I'm feeling gung ho! Then to help avoid claims, I'll subscribe to VRC. So that in the event of a storm my clients won't have a cow. On affluent homeowners! On non-standard, ho! On bonds, on marine, on events! LRO! On travel insurance and on, vacant dwelling! On commercial, on bicycles, let's go and get selling! And maximize every Big "I" benefit I can manage. "Big I Advantage offered it all, and helped my agency take flight!" While home (and room) sharing can be lucrative for homeowners, it exacerbates the typical homeowners risks. Recognizing this, Lexington Insurance Company has introduced the latest in its series of enhancements to LexElite® Homeowners Insurance: LexShareSM HOME Rental Coverage (LexShare HOME), explicitly designed to respond as the sharing economy reshapes the home and condo rental market. LexShare HOME extends homeowners protection expressly where short- and long-term landlords need it - providing coverage certainty with an expanded definition of "residence premises" and raising the roof on protection for losses from property damage, theft, and more. LexShare HOME Rental Coverage is the newest addition to Lexington's suite of enhancements to LexElite® Homeowners' Insurance - each enhancement is designed to help consumers keep pace with the fast-moving risks of today's world. Additional endorsements include: Lex CyberSafetySM Coverage, Upgrade to Green® Residential, Eco-Homeonwer® Mandatory Evacuation Response Coverage, and LexElite® Pet Insurance. 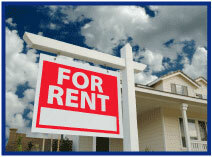 The Non-standard Homeowners or Rental Dwelling is available all states except Hawaii. To learn more visit Big "I" Markets or contact Herbert Decuers at 866-450-7241 or hdecuers@insureresponse.com. 1. According to the Society Research Foundation approxiamately how many people are killed by icicles in the U.S. each year? 2. On this day (December 27) in 1947, a childrens television show debuted on NBC. Name it. 3. The ball that will drop in New York's Times Square this Sunday weighs almost six tons and is covered by 2,688 _________ ________? TB - The Non-standard article above references additional LexElite enhancements. Name at least three of them. Congratulations to our agent in Alabama on an Affluent Homeowners sale of $12,681 in premium!